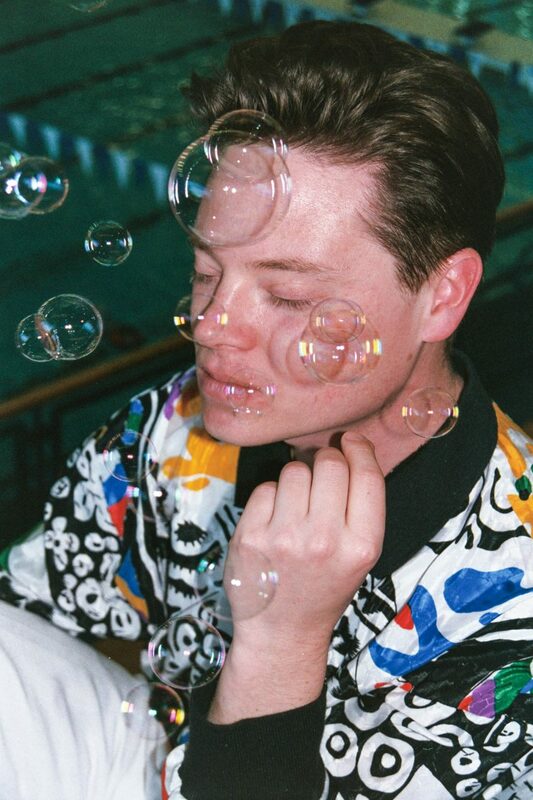 Ian Kehoe is Marine Dreams. I want to make this clear as he brings us this new and very personal album. Written, performed, recorded, mixed, and mastered by Ian in his home studio, Producer’s Wonderland is the work of a singular vision and a unique mind. Displaying Ian’s robust commitment to ongoing creativity and continuing development as a songwriter and musician, Producer’s Wonderland is rich in melodic and rhythmic adventures. Vocal harmonies and acoustic guitar textures mix with programmed drums and synths in deep and surprising pop songs. 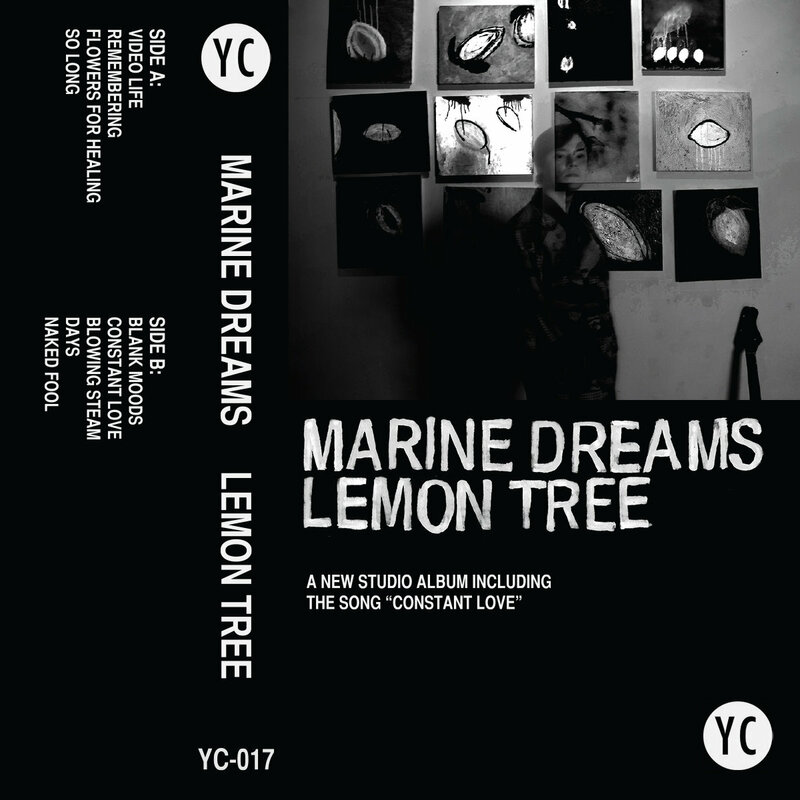 If this is a new sound for Marine Dreams, it increases my impression that this is an album about personal growth, about learning – there’s even a song called “Learning Experience” that describes the making of Lemon Tree, the previous Marine Dreams album. It’s as if what is being “produced” is not just the music, but also the person making the music. What does it mean to love (“Love(After Eros The Bittersweet)” named for the Anne Carson book), to maintain life-long friendships (the tender and beautiful “Michael”), to live with uncertainty (“No Use”)? There are big questions asked here, but asked joyfully; posed and arranged in a group of wonderful and magical songs. Please listen to No Use below. 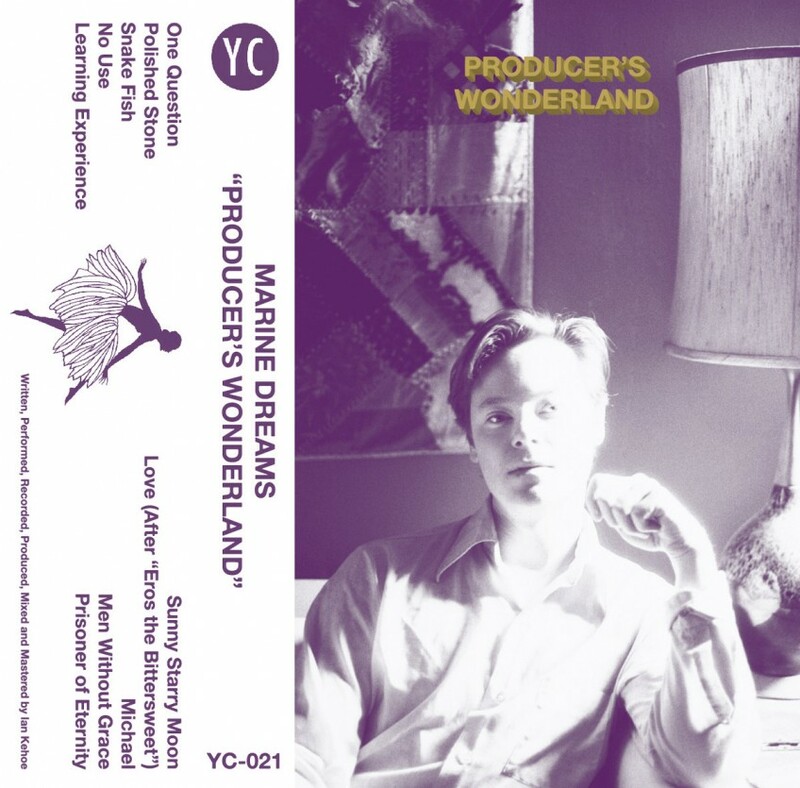 Producer’s Wonderland (YC-021) will be released January 27, 2015 on Limited Edition Cassette and Digital formats. I’ve never seen a lemon tree; or, I’ve seen not knowing. It’s entirely possible to look at a tree and, if think at all, think only: “there’s a tree.” To be aware that something exists in all it’s particulars outside of your understanding is a peculiar type of knowing. From something very small, a word perhaps, or a name, the idea takes on weight and shape. It roots and flowers and blooms, bears fruit, seed, and sapling, through multiplying generations of bewilderment. There’s a cool shade between the lines of trees. A human voice is singing: “I do not know! I do not know!” The sound echoes off the wood; the orchard itself is singing. Two lovers lie beneath the trees. They decide to look together through the leafy branches for the sky and tell each other what they see: a leafy sky that’s filled with suns! Dark green leaves like holes in the light! 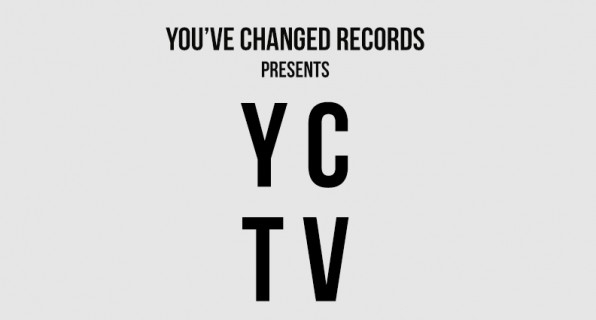 You’ve Changed Records is partnering with our good pals at Headless Owl Records for a very special event in the Yukon. Shotgun Jimmie, Baby Eagle, Marine Dreams, and Richard Laviolette will be joining Michael Feuerstack, The Burning Hell, Construction and Destruction, Wax Mannequin, and Kyle Cashen for a meeting of the minds and hearts, a congress of the soul, a numbering of the tribe, a collaborative recording session, and a revue show of spectacular proportions. 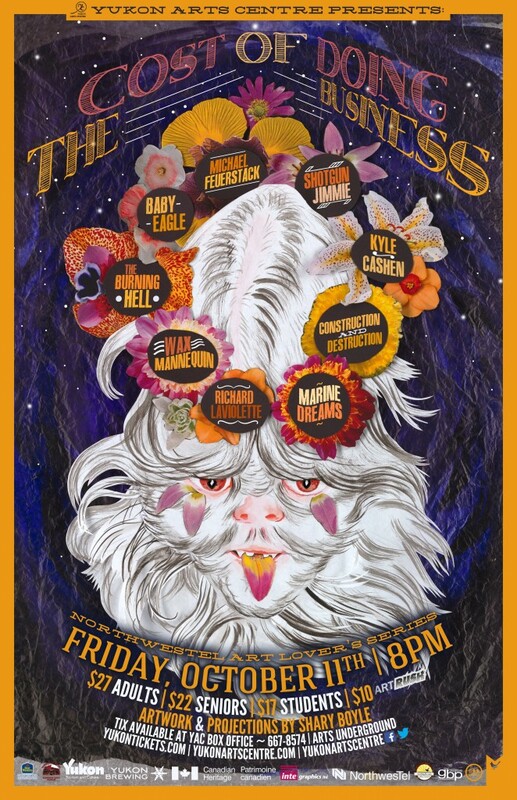 Shary Boyle is graciously providing projected artwork and elevated vibes. Maybe this whole thing raises some questions: Why the Yukon? Is that a Sasquatch? How many songwriters does it take to change a light bulb? Who’s on bass? How many clowns will fit in that car? Here’s what I know: We are thrilled beyond thrilled. We are over the moon. We’ve already got our bags packed. Everyone has written killer new songs for the project. And the answer to all questions is, of course, “YES”.